Gin was probably my first 'grown up' drink, it seemed very sophisticated to ask for a gin and tonic rather than the Cinzano and lemonade that started my foray into alcoholic drinks. Good grief, that dates me squarely in the 1970s! However time moves on and I was seduced away from drinking spirits by the increasing quality, and reducing price, of wine. However, recently in an attempt to drink less (lets face it, once the bottle is open....) we have turned our attention back to the hard stuff. It started with the bottle of vodka which had been given to my husband as a gift, but vodka has never been my spirit of choice, so when Martin Miller's offered me a bottle of their Arctic Quality Gin I was more than pleased to accept. 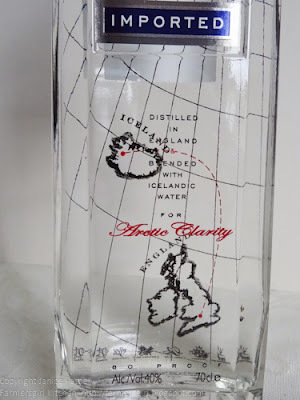 The bottle is really very beautiful and shows the UK and Iceland, as the gin is distilled in England and blended with Icelandic water. I also received a glossy 'coffee table' book with more information than you could possibly want to know about Martin Miller's Gin and a cocktail recipe book. In the book there are some nice little quotes from Martin Miller e.g " I want my gin to have the scent of Oriental flowers at dusk and to have the fragrance of orange groves on a warm night in Seville" probably my favourite chapter is the one called 'Gin, Janes and Jazz' which tells you about the birth of the 'Cocktail Hour' which replaced afternoon tea in the Grand American Hotels at the start of the twentieth century, shortly followed by prohibition in the 1920s which gave gin attitude! The flavour of the gin is very clean. It doesn't have the harsh 'scented' quality that some other brands seem to have. It felt as if you could taste each of the individual botanicals that go to make up the flavourings for this gin: Juniper, Coriander, Angelica, Lime Peel, Liquorice Root, Cassia Bark and Florentine Iris and it was very smooth, no harsh spirity kick probably down to the way it is distilled with only the 'heart' of the spirit being kept. Or maybe it has something to do with the pollution free Icelandic water. All I can say is that it is a very good gin indeed! 1. Bruise the mint leaves in a mortar and pestle or with the end of a rolling pin to release the oils. 2. 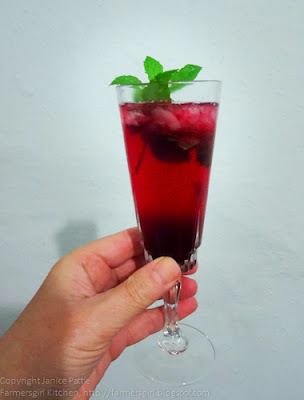 Place the crushed mint and crushed ice in the glass. 3. 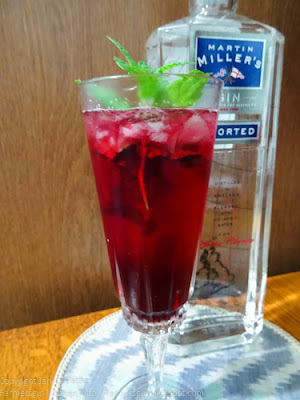 Add the Martin Miller's Gin and the Bramble Cordial in the glass and stir to mix. Top up with soda water. 4. Garnish with the sprig of mint. 1. Place the ingredients in a saucepan and gently heat until the sugar has dissolved, simmer for about 10-15 minutes until the berries are soft and the liquid has reduced by about half. 2. Strain through a sieve and leave to cool. 3. Keep in a sterilised bottle or jar in the fridge until needed. The first delicious Dish of the Month was beautifully presented by Dom from Belleau Kitchen. 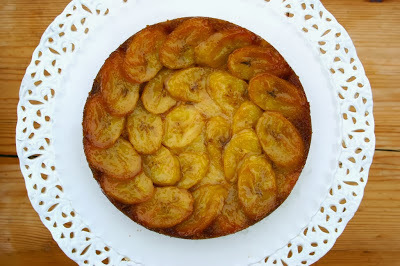 Upside Down Banoffee Shortcake is a Nigel Slater recipe that Dom found on the Guardian website and what a great find. 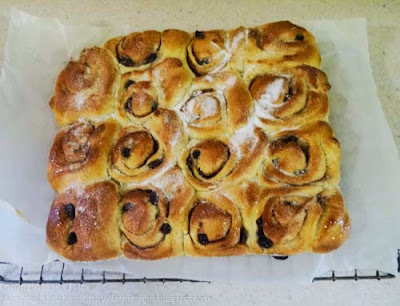 Deon Van Schalkwyk is the food blogger behind Food Jam and a recent convert to Nigel's Kitchen Diaries II, which is where this super easy and totally delicious Spelt and Cider Loaf recipe is to be found. 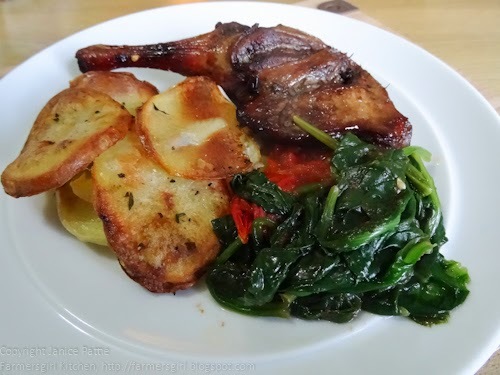 My own contribution to Dish of the Month is this dish of Duck Legs with Bramble Gin and Duck Fat Potatoes, adapted to suit my ingredients from a recipe in Kitchen Diaries II. 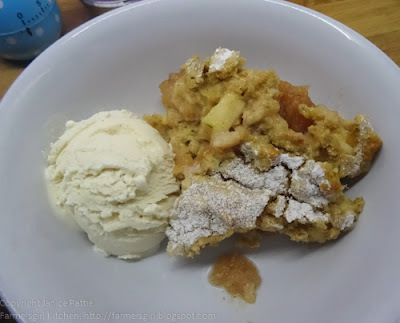 Co-host of Dish of the Month, Sue at A little Bit of Heaven on a Plate indulged in this gloriously autumnal Pear and Chocolate Crumble and was thrilled to receive some birthday greetings on Twitter from Mr Nigel Slater himself! Over the past few weeks, Karen of Lavender and Lovage fame has been travelling all over the UK and has not long got back to her home in France, and yet she still managed to russle up some homemade bread and this Welsh Rabbit for her Sunday Brunch. 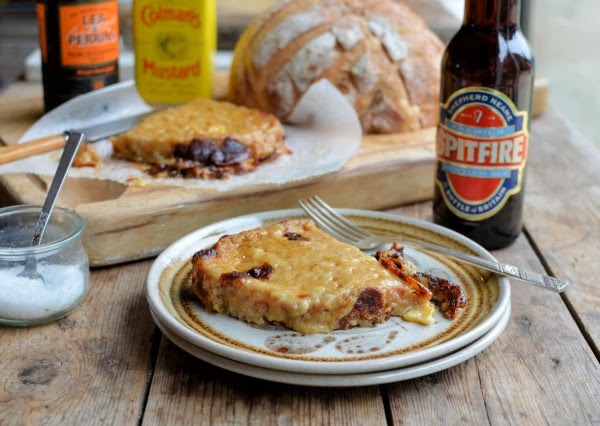 This recipe of Nigel's was found on the Country Life website - he does get about, doesn't he? Oh just like Karen lol! I'll be back with the linky for November's Dish of the Month on Friday - get your thinking caps on and join us cooking and baking the recipes of Nigel Slater. 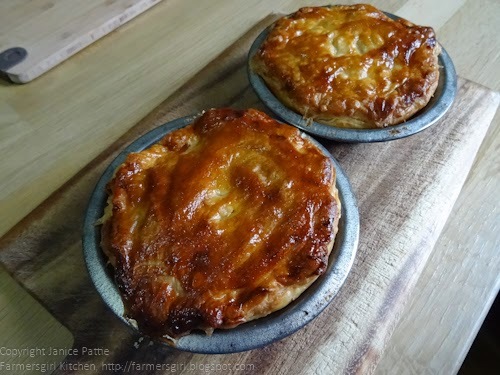 The pie is ubiquitous in every culture, whether it's sweet or savoury, large or small, open or closed, enclosing a filling with some kind of pastry or dough is a classic form of cooking and baking. Dean Brettschneider has captured the joy of pies in this book dedicated to this ultimate convenience and comfort food. Dean Brettschneider is a professional baker, patissier and entrepreneur. 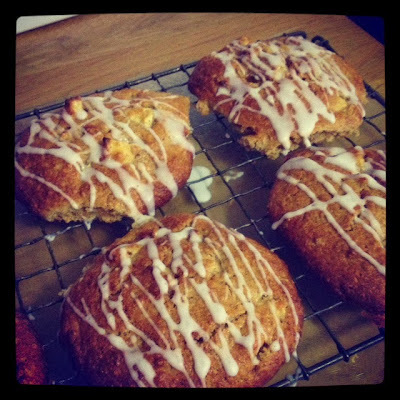 Arguably one of the world's best bakers, Dean is a truly a global baker. He was based in Shanghai for several years and now resides in Denmark and New Zealand, where he heads up his global baking empire. The book starts with a History of the Humble Pie starting with pie pastry made with flour and water by the Greeks and ending up with the gourmet pies made by patisserie chefs. The Ingredients section is a useful reference for later recipes and the section on equipment, usefully includes Your Hands beside mixing bowls and sieves! The first recipe chapter is all about Meat Pies and it was the very first recipe (and the cover recipe) which I couldn't resist: Mince and Cheese Pies. I have also bookmarked Spanish Chicken Pie, Steak Caramelised Onion and Red Pepper Mustard Pies and Coriander Chicken and Yoghurt Curry Pie. Seafood Pies includes a delicious sounding Fish Pie with Leek and Chorizo and Salmon, Wild Rocket and Orzo Pie. There is a chapter on Vegetarian Pies standouts include Tomato and Thyme Tarte Tatin and Gooey Leek, Potato and Vintage Cheddar Pie. What is a pie? The chapter Not-quite-a-pie stretches the boundaries of pie-dom to sausage rolls, empanadas and whoopie pies! This includes Cornish Pasties, Chunky Chicken and Apricot Spinach Pastry Plaits, Spicy Gingerbread, Cointreau and Choclate Eccles Cakes and the superb sounding Date, Apricot, Orange and Cardamom Flapjack Shortcake Tart. Sweet Pies are a favourite with most of us, stretch your repertoire to include Pear and Fennel Tart Tatin , Dark Chocolate Banoffee Slab, Lemon Olive oil and Blueberry Tart and possibly my favourite sweet recipe in this book: Caramel Macadamia Oaty Tart. The book ends with a chapter of Basic Recipes, so many different sweet and savoury pastry recipes to add pizazz to your pies. There are also a range of filling recipes and a section on Techniques such as lining a pie dish, tart tin or flan ring with pastry, baking blind and decorating. 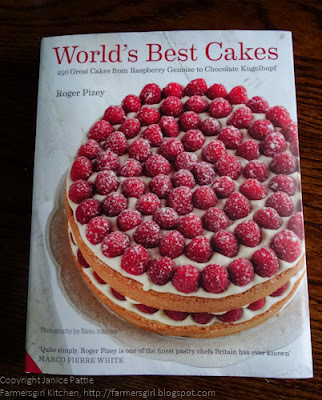 There are some really interesting pie fillings and inspirational pastry recipes in this book. Every pie recipe has a full colour photograph and a few have step by step instructions e.g raised pork pies. The recipes are well laid out and I found them simple to follow. 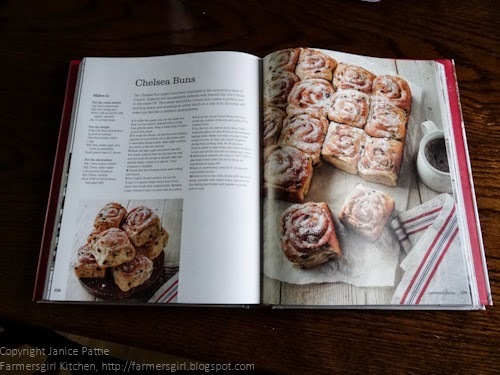 The pastry recipes in the basic recipes chapter are really original. I didn't have time to make my own puff pastry but I love the sound of Gingerbread Crust Sweet Pastry and Chilli Polenta Pie Crust. About half the book is devoted to sweet pies, now I know they are pies, but I would have preferred more savoury pies and some of the 'pie' interpretations were rather wide e.g. Orange Blossom and White Chocolate Cheesecake 'Pie' and Gingernut Lemon Meringue Pie in a Glass! Well if you love pies, then this is the book for you! If you even just like pies then it would be well worth owning a copy of this book, many of the recipes could be adapted to create new pies once you have mastered the basic techniques. This book has earned a place on my bookshelf anyway. 1. Make the Butter Puff Pastry the day before and store wrapped in the refrigerator. Cut off a quarter of the pastry block and set it aside for the pie lids. On a lightly floured surface, roll out the larger piece of pastry to a square, approximately 4 mm think. Cut the square into quarters. Line each individual pie dish, ensuring the pastry is firmly presssed against he sides and leaving some hanging over the edge of the dishes. 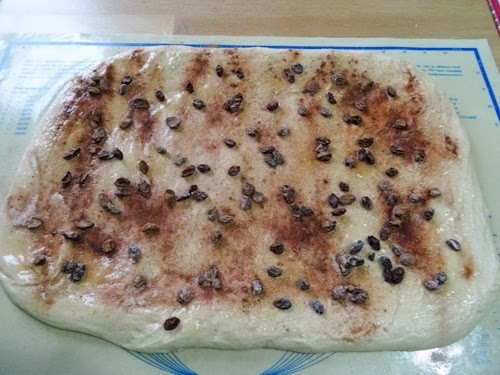 Roll out the smaller piece of pastry to a square into quarters, cover with clingfilm and set aside. Heat the oil and butter in a large frying pan, then add the onion and garlic and cook until the onion is golden. 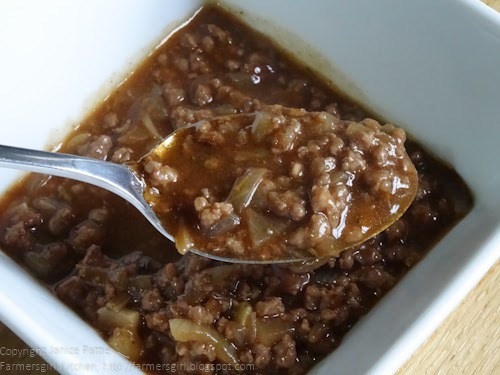 Add the beef mince and cook until well browned, stirring occasionally to prevent large lumps of meat forming. Stir in the flour and cook for approximately 30 seconds. Gradually add the beef stock and beer, then bring to the boil. Add the tomato puree or paste and Marmite (if using), balsamic vinegar, mixed herbs and salt and pepper to taste. Lower the heat and simmer gently for 10 minutes, then remove from the heat and allow to cool. I didn't have any Marmite and felt that the mince was rather anaemic looking without it, so added a tbsp of soy sauce, it was a triumph and the mince was delicious. 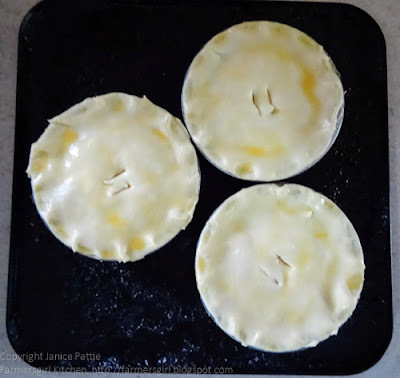 Fill each pastry lined dish almost up to the top with the mince filling then add a small handful of grated tasty cheese or Cheddar (I used Scottish Mature Cheddar). Brush the edge of the pastry bases with water and place the lids on top. Seal edges and trim off any excess pastry with a sharp knife. Brush the tops o the pastry with egg wash and sprinkle with sesame seeds. Rest for 1-2 hours (or longer) before baking. I didn't have any sesame seeds, the pies were fine without them. 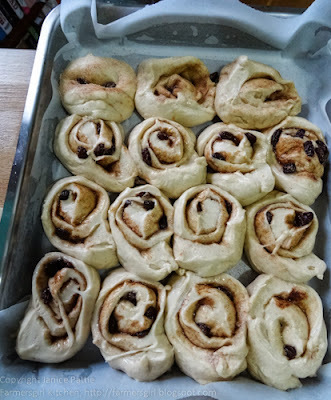 Bake in a preheated 220C (gas 7) oven for 25-30 minutes or until pastry is crisp and golden-brown in colour. Allow to cool in the dishes for 10 minutes then remove from dishes and place on a cooling rack. Serve with your favourite tomato sauce and a crisp green salad or a bowl of French Fries. 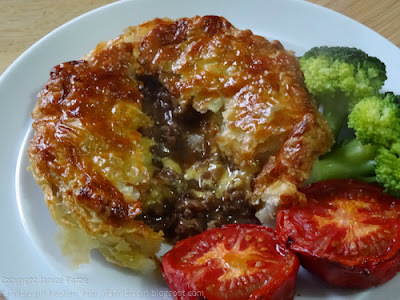 I served my pies with grilled tomatoes and broccoli, they were super delicious, the tasty mince, crispy pastry and gooey cheese, what a flavour sensation! 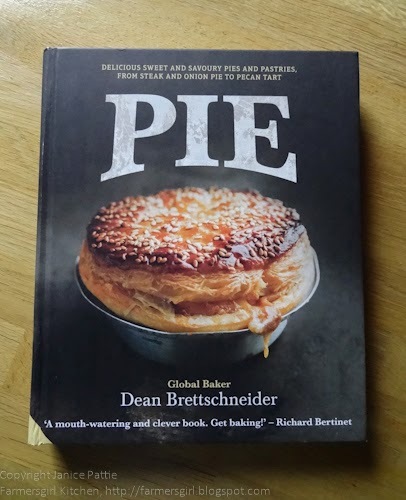 Many thanks to Aurum Publishing Group for supplying me with a copy of Pies by Dean Brettschneider, I was not paid for this review and all opinions are my own. I don't know why, but I've never cooked Lamb Shanks. I do like lamb and have cooked it in different ways, but never lamb shanks. I was invited to a cookery demonstration for the Wham Bam Thank You Lamb campaign being run by Scotch Lamb at the Edinburgh New Town Cookery School. I was absolutely gutted to have to withdraw at the last minute as I was ill with bronchitis. However, I am delighted to tell you that I am still able to take part, as I was provided with voucher to buy some lamb at a local butcher who was a member of the Scotch Butcher's Club, in my case this was J.B Houston in Dumfries. 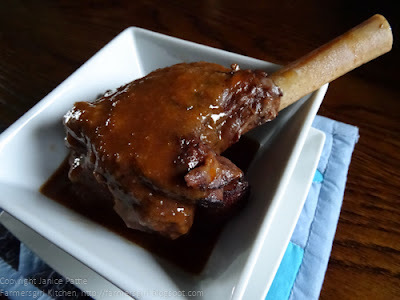 I had a lovely chat with the butcher who recommended that I cook these lamb shanks with some red wine, he definitely knew what he was talking about, as the flavours of the lamb and the gravy were superb. My top tip when cooking lamb? Ask your butcher! Most recipes suggest one lamb shank per person, but I managed to get 6 portions out of two lamb shanks, you do have to strip the meat off the bone but it's worth it if you are trying to be thrifty. 2. Heat the oil in a casserole dish or roasting tin and brown the lamb shanks. 3. Remove the lamb, turn the heat down a little and add the onion, carrot and garlic and cook for about 8 minutes until beginning to soften and brown slightly. 4. Add the rosemary and bay leaves and cook for another minute. 5. Add the flour and tomato puree, then pour in the wine and stock, stirring all the time to blend. 6. 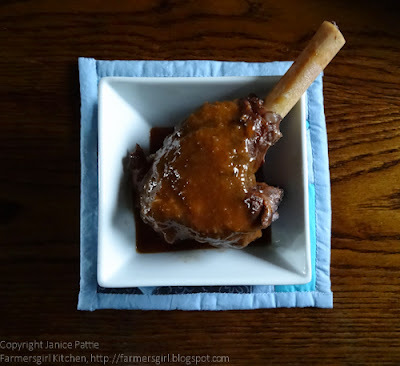 Put the lamb shanks back into the dish, cover and place in the oven for 1 1/2 - 2 hours until the lamb is tender. 7. 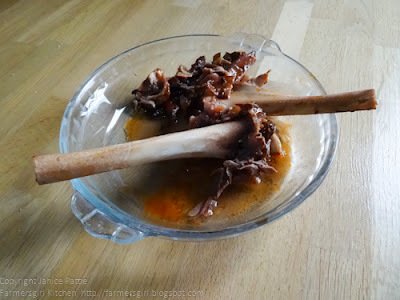 Remove the lamb from the dish, let it cool slightly and then strip the meat from the bones. 8. Put the pan back on the heat and simmer to reduce the sauce, then sieve into a jug. 9. Serve with mashed potatoes and a green vegetable. This is a slow cooked dish but if you are in a hurry, there are loads of great quick cook recipes on the Wham Bam Thank you Lamb website some of them cook in 10 minutes! Many thanks to Scotch Lamb for the opportunity to cook with such a premium product, I was notpaid for this post and all opinions are my own. On My Kitchen Table - Biscuits, Haggis, Mojitos and Cleaners! 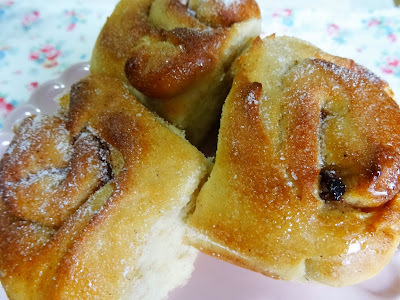 Here are some of the products that have been on my kitchen table this month, there are always new things to try and when I find something I like, then I like to share it with you, my readers. Sarah James is a home baker just like you and me, and she has created an e-book of her recipes which you can buy through Amazon. 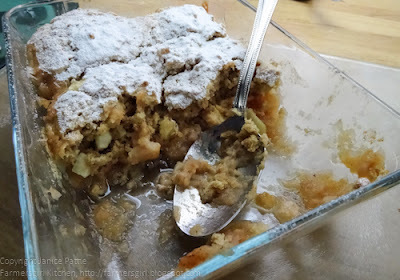 It's called English Tea Time Treats and there are lots of good recipes in there, including some that I haven't see elsewhere, like Nelson Slice, a bread pudding sandwiched between two layers of flaky pastry. I've now made the Oat Biscuits twice and Mr Farmer took some into his work and they were very popular, they taste a bit like Hobnobs. 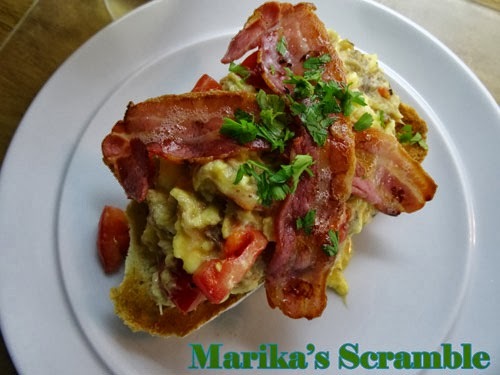 It's a very simple recipe using ingredients that are likely to be in your store cupboard and it is also very versatile, you can add different spices or dried fruits to the biscuit mix. 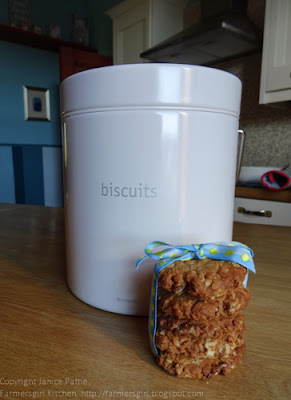 I filled my biscuit tin with these cookies and they are ideal with a cup of tea of coffee. Sarah recommends crushing the Oat Biscuits to make cheesecake bases and I can see how they would really work like that. Sarah James provided me with a copy of English Tea Time Treats, I was not paid for this review and all opinions are my own. Not all Scots like haggis. 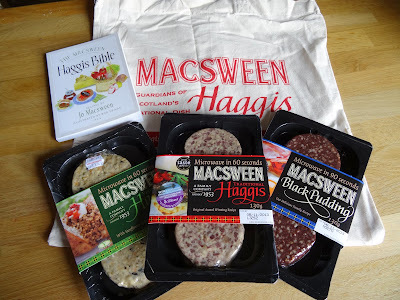 However, I love it and these Microwave Haggis and Black Pudding packs from Macsween are an innovative and speedy way to enjoy these tasty slices.The Little Haggis Bible is written by Jo Macsween and contains lots of interesting information about haggis and some very tasty looking recipes. Macsween of Edinburgh, a third generation family company, has been at the forefront of haggis and black pudding making for 60 years. 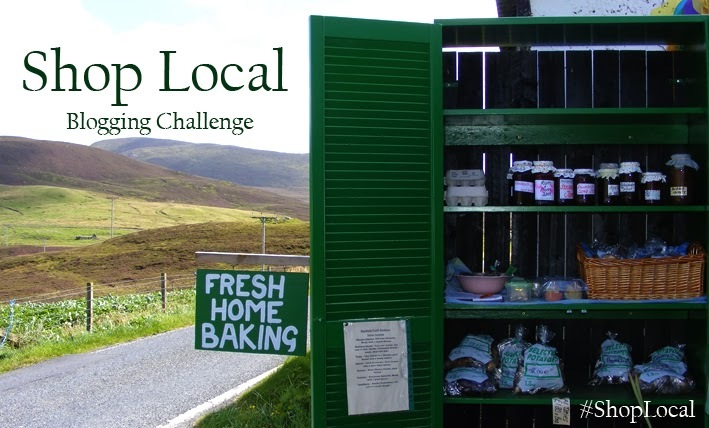 They have a clutch of foodie prizes for their products and in the past 10 years have made significant strides in improving and systematising the way they manage their environmental impacts. 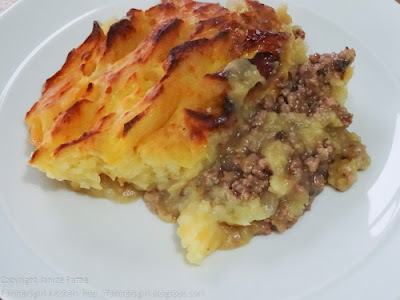 I added the Macsween Haggis to cooked lamb mince and topped with a mix of mashed potato and turnip (swede), recipe coming up in a later post. The haggis added a lovely spiciness to the lamb. Sunday morning breakfast is usually a bacon roll. 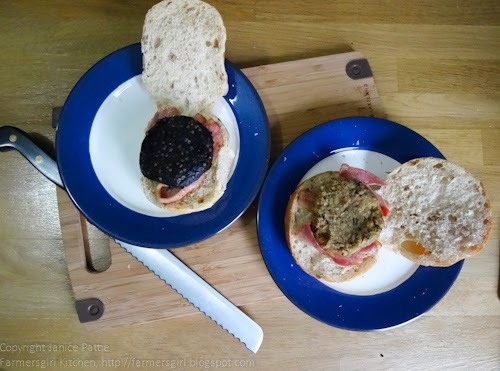 Today I topped this with a slice of Macsween black pudding to my roll and a slice of Macsween vegetarian haggis to Mr Farmer's roll as he doesn't like black pudding. I did microwave the slices, but then put them briefly under the grill to crisp them up a bit. The Black Pudding was superb, the seasoning is really well balanced and it had a rich flavour which went very well with the bacon. Mr Farmer enjoyed the Macsween Vegetarian Haggis, we have had Veggie Haggis before and found it bland and unappealing, this was a big improvement. I would definitely buy these Microwavable packs again, 60 seconds for the Haggis and 90 seconds for the Black Pudding - now that is fast food! Macsween Haggis is available at all major supermarkets and costs around £1.49 per pack. I was supplied with the Macsween products shown in the first photograph, I was not paid for this post and all opinions are my own. 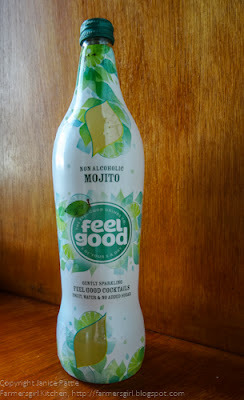 I discovered Feel Good Non-Alcoholic Mojito at Tesco when looking for a different mixer for vodka. We had a bottle and half of vodka which were given as gifts and decided we should drink some of it instead of our usual wine. We had it with cranberry juice a few times, but got a bit fed up with that. I can thoroughly recommend this Mojito as a mixer as well as to drink on it's own. Feel Good Mojito has a really grown up taste, not too sweet, a lovely slightly sparkling citrus drink with a hint of mint. I've had pre-mixed Mojito before and it always tastes of toothpaste to me, too much artificial mint flavour. Not the Feel Good brand, it is made with 100% Natural Ingredients, 60% fruit juice grape, lime, sparkling water & fruit extracts, natural mint flavours, natural stabiliser; fruit pectin. And would you believe it - IT'S ONE OF YOUR FIVE A DAY!!! For anyone planning a party, I would recommend you get some of this for those who don't or can't drink alcohol, it tastes like a proper drink, so they won't feel left out. 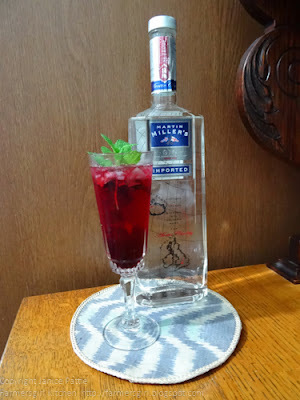 I did not receive this product from the manufacturer, I've bought several bottles of this Mojito Cocktail with my own money, my opinions are still my own though! Breathease is Asthma and Allergy Friendly Cleaners are Scientifically tested and help prevent inhalant and allergenic reaction. They even remove surface allergens whilst ensuring that airborne allergens are minimised, meaning that it is healthier for you. I am fortunate that I don't have asthma, but I do have some slight allergies and some of the kitchen and bathroom cleaners do make me catch my breath. I was given Breathease Window and Glass cleaner and Breathease multi-purpose cleaner to try for myself. I used the Window and Glass Cleaner on the kitchen window and the bathroom mirror, it was a good cleaner and the smell was fresh and sweet, a bit like baby powder! As I have mainly wooden work surfaces in the kitchen, which I don't like to use spray cleaners on, I took the multi-surface cleaner into the bathroom. Our bathroom is very small, built under the stairs, in a house not originally designed for an inside bathroom, which means that fumes from cleaners get stuck in the room and particularly in the shower when I'm cleaning it. 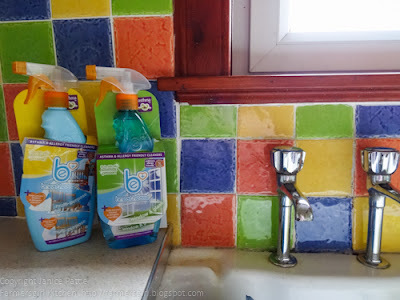 I really liked the multi-surface cleaner, it did the job just as well as other cleaners and, just like the window and glass cleaner, had a pleasant scent with no choking effects. Overall, I was impressed and the products which are also supported by asthma UK. I was supplied with these two cleaning products, I was not paid for this review and all opinions are my own. 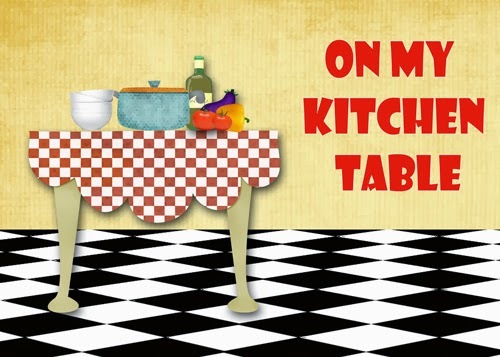 Thank you for joining me at the Kitchen Table. Some days you get a bonus! 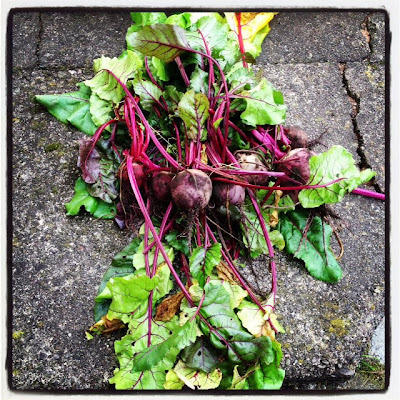 Last week when I had a few days off work, a neighbour saw me and offered me some of the huge crop of beetroot that he had grown in his garden. His car boot was full of beetroot and he reckoned he was feeding half the village. I certainly wasn't going to turn down these beauties which I saw him pull from the ground just a few minutes before I took these photographs. I made Beetroot Chutney with the biggest of the beets, like this monster above. 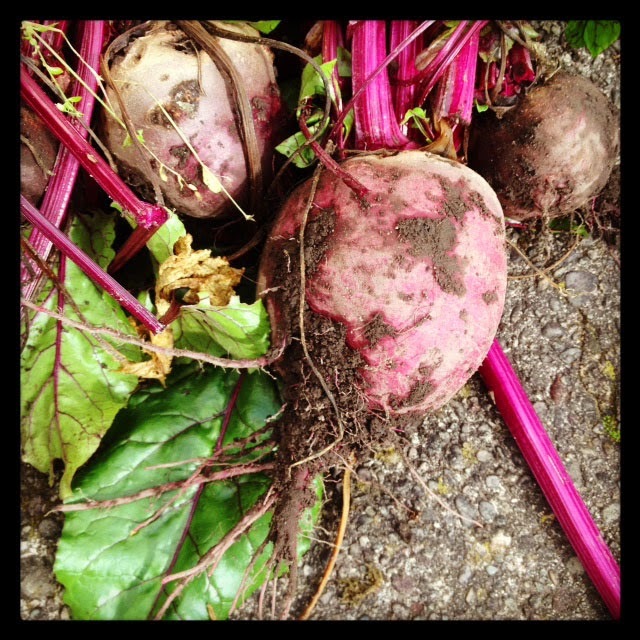 I kept the four best beets to bake. I cleaned the worst of the earth off them in a bucket outside, then removed the leaves and scrubbed them. 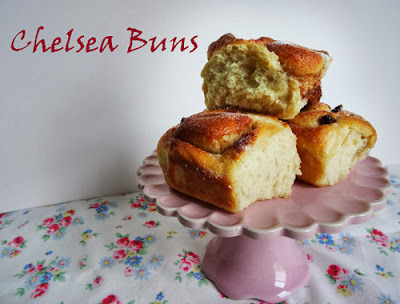 You can bake them as they are but I like to wrap them in foil to save them from burning or drying up. 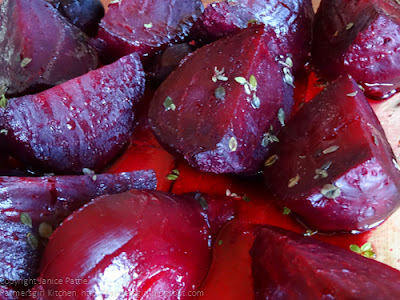 The baking time depends on the size of the beetroot, I cooked mine at 180C for an hour and a half. When the beetroot is cooked, take them out of the foil and while still warm, slip off the skins (I usually wear rubber gloves, otherwise you end up with purple hands) and quarter the beets. Place the quartered beetroot into an ovenproof dish and spoon over two teaspoons of good local honey, 1 tbsp of rapeseed or other light oil and a tsp of fresh thyme leaves. Put this back into the oven for about 5 minutes to warm through, then add 2 tsp of balsamic vinegar. 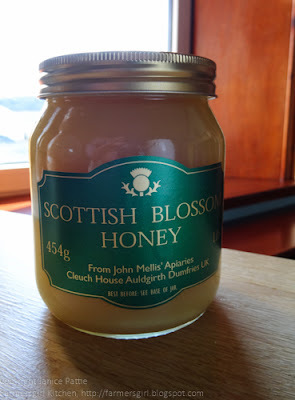 This is the fabulous local honey I used from John Mellis Apiaries at Auldgirth. It is thick but not grainy, the flavour is intense and so good. A little goes a long way and I'm guarding it carefully from Mr Farmer who would have it finished in a matter of a couple of days. I'm entering this recipe for Shop Local, the Blogging Challenge run by Elizabeth's Kitchen. 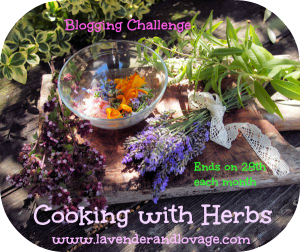 I'm also entering this for Cooking with Herbs, the monthly blogging challenge run by Karen at Lavender and Lovage, for any recipe cooked with herbs. I have a lot of cookbooks. I have been collecting them since the 1970s and although I do cull them now and then, each one has a place on my book shelves for a particular reason. 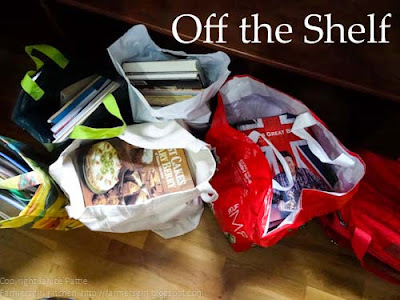 I recently had to clear all the books from my custom made shelving unit under the kitchen window. As I piled them into bags, it occurred to me that many if these well loved friends had been neglected in favour of shiny new celebrity cookbooks and review copies I'm always delighted to receive from publishers. 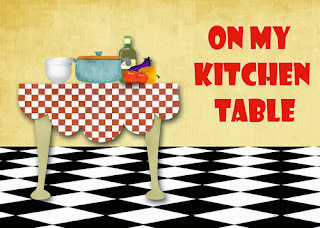 Sitting here in my kitchen on a Sunday afternoon seemed the right time to revisit some of these books, many of which will be out of print now, and share them with you. I did consider creating a blog challenge, but there are so many now and I don't need the pressure or the extra work. Instead I will dip into my collection whenever it suits me and share my thoughts and memories of the book in question. 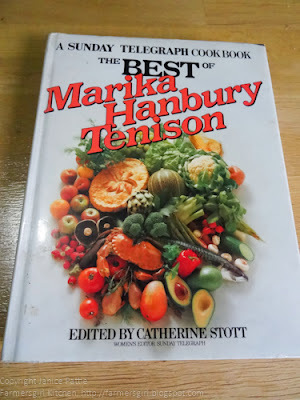 Marika Hanbury Tenison died in 1982 at only 44 years old. She had been the cookery editor of The Sunday Telegraph for fourteen years. I never read her articles in the Sunday Telegraph but there are some of them included in the book along with over 400 recipes. Marika seems like quite a character described as 'fun to be with, fun to work with'. 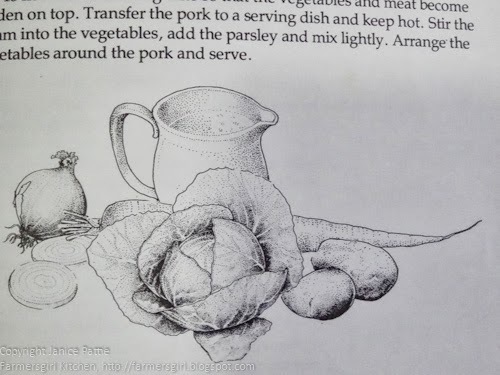 The book was published in 1984 and, as was more common then, there is not a colour photograph for every recipe. However those which do feature are excellent and well. If simply styled. There are also many attractive line drawings by Soun Vannithone scattered throughout the book. I didn't intend to run through every chapter as I do in my other reviews but somehow that's just what I ended up doing. I've highlighted some of the recipes I have made, easy to see as I used to fastidiously mark each recipe from 1 to 5 stars! 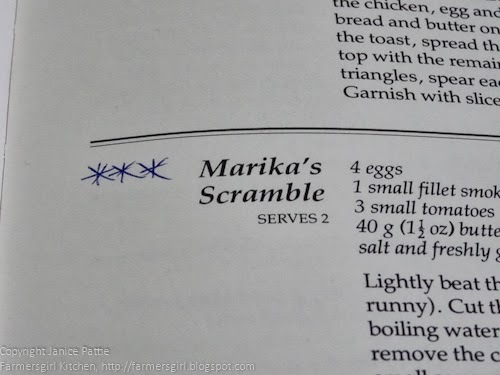 Marika's Scramble only seems to have 3 stars although as I re-read the recipe I thought it sounded delicious, so decided to have another go at making it. It was really quick to make and definitely worth more than 3*. It's basically scrambled egg with added flaked, smoked mackerel and chopped tomatoes, in the recipe the base is fried bread but I toasted thick slices of Pain de Campagne, then rubbed the top with a cut clove of garlic, piled on the scramble and topped with two rashers of streaky bacon and sprinkling of parsley. The title of this recipe reminds me of one of the things I love about this book: the titles of some of the recipes. How could you resist Gelda's Fancy, Crumpelettes or Matrimonial Eggs? And that's only in the chapter on Lunch and Supper dishes. It's interesting to see that the Fish dishes which seemed so alien to me then, are now standard fare. Fish like Sea Bass, Red Mullet and Monkfish simply weren't easily available and far too expensive for me in 80s Glasgow. I have, however given 4 stars to Baked Stuffed Herrings in Foil, another surprise as I rarely eat herrings due to the whiskery bones ( I know, I'm a wimp) the recipe includes mushrooms lemon juice, cayenne pepper and tomato purée. In the Meat Chapter I have given Maidenwell Goulash 4 stars. Maidenwell was the home of Marika and her husband, the explorer Robin Hanbury-Tenison, a house high on Bodmin Moor. The Goulash page is pleasingly spotted, always a sign of a good recipe! I've written at the bottom of the page that it is 'a good meat stretcher'. In addition to the chuck steak, the goulash contains potatoes, carrot, parsnip and celery. I've also noted that I made it without red wine or stock cubes, but used 1 pint of miso stock. Only one Poultry and Game recipe has been marked, Rabbit and Bacon Casserole 4*. Sozzled Chicken sounds good as does Paprika Cranberry Venison's Turkey Pot Pies which contain no paprika, no venison and no cranberries, instead this refers to the nickname given to her by Private Eye magazine, she loved this cheeky tribute and promptly named this dsh after. In Vegetables and Salads, Cauliflower with Watercress is a 5* recipe although my handwritten note says I used magnetout and courgettes in my sauce rather than watercress! No change there in my cooking style. Somerset Carrots, carrots cooked with Juniper berries and cider vinegar only merits 3*. Three stars was the cut off point for making something again, so this is still a good score. In the Dessert chapter I had made Apple and Blackberry Crisp 4* is basically a crumble with flaked almonds in the crumble mix to add the crunch. I noted that the apples needed cooking longer than the recipe suggests. Strawberry Cream Gateau is an easy but impressive recipe using bought puff pastry, a 4* recipe. There are some lovely jellies and water ice recipes in the dessert section. I don't seem to have made or marked any of the Sauces and Preserves although there are some excellent chutneys, pickles and even some Damson Cheese. At the end of the book there is a chapter of articles written by Marika entitled 'First Catch Your Crocodile and other articles', very entertaining and a real insight into the author's lively personality. The Best of Marika Hanbury Tenison (A Sunday Telegraph Cookbook) is now out of print, but copies can be purchased second hand via a popular online bookstore.